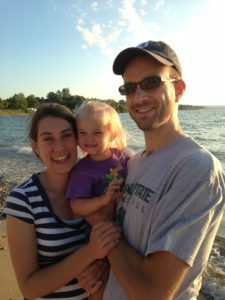 My Occupation: I am an accountant for the Michigan Primary Care Association, a nonprofit charity here in Lansing. Background at URC: I have spent my entire life at URC, having been born and raised in the church, and having come to faith here in my early years. I have what pastor Kevin likes to call the sort of “boring testimony” that we all pray our children will have. About me/my family: My wife Emily and I have been married since 2011 and we have one daughter.